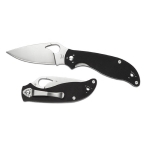 Spyderco is a Golden, Colorado based knife manufacturer who is well known for numerous knife innovations over the years. 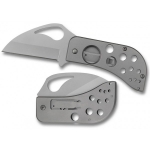 Most of the knives Spyderco produces are folding knives although they do make an occasional fixed blade knife. Spyderco sprint runs, which are limited production runs that are experimental or otherwise different from regular production models are very popular. 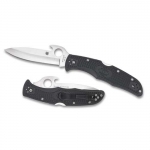 Spyderco collaborations, which are knives that Spyderco collaborates on with high end and well known knife manufacturers are also very popular. 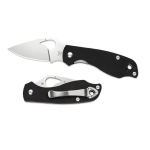 Spyderco uses a wide range of blade steels, locking mechanisms and handle materials. 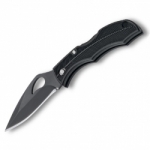 Below is a chart showing the best Spyderco knives on the site as reviewed by multiple users. 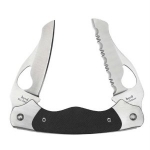 Keep in mind that there are many great Spyderco knives out there, but if you can't decide on one after searching the site, choose one off this list and we are confident that you will be happy!